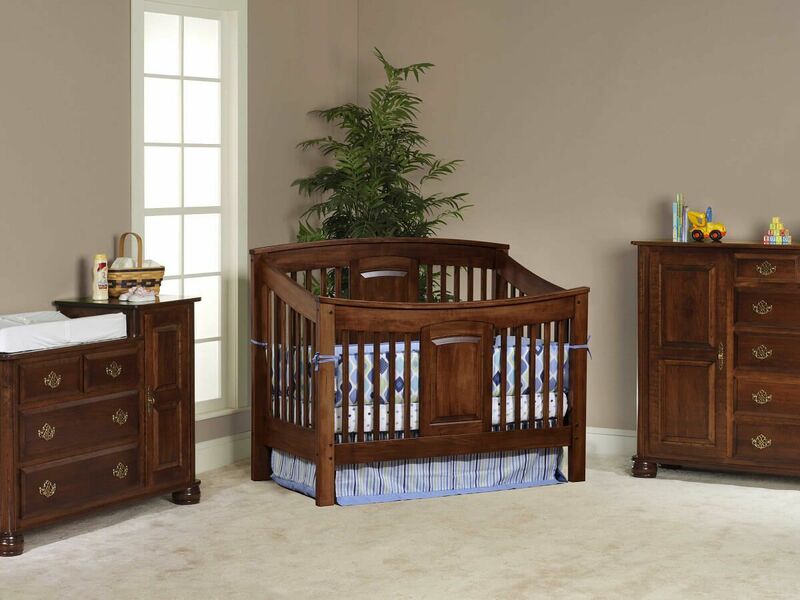 Select the Prestige Amish Nightstand to finish your child’s nursery set. Completely handmade using domestic hardwood and a hand-rubbed finish that lasts. 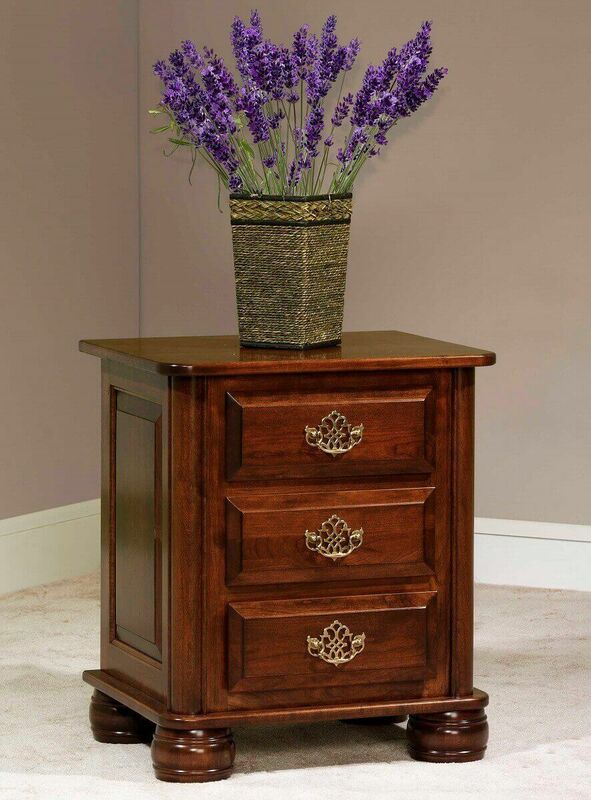 Sturdy, solid wood, Amish construction is as durable as it is beautiful in the Prestige Nightstand. Crafted with three drawers that are dovetailed for strength and joined with mortise and tenon, this nightstand is built to withstand anything your child may throw its way for a lifetime. Stunning details in the handmade furniture, like rounded bun feet allow this three-drawer nightstand to perfectly match your other Prestige nursery furniture while setting the stage for a stylish retreat in your baby’s dressing room. Order the pictured look by selecting Brown Maple with our Cherry Mocha stain.